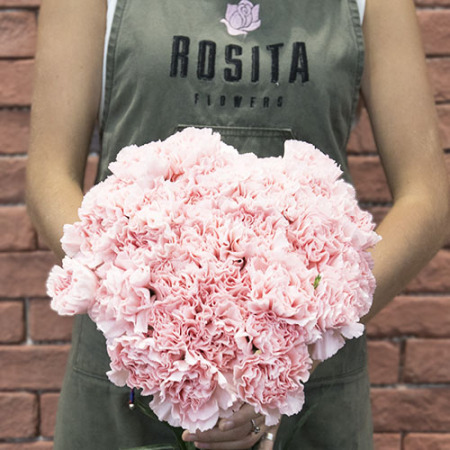 Rosita’s Carnation dream, a bunch of our exquisite carnations. Frilly, delicate and detailed, these flowers are so precious and refined, yet strikingly simple. These features make this flower so attractive and pleasing, such a bunch would makes a lovely and subtle gift bound to amaze and please at all occasions.